UWC - Aurora Humanitarian Project - "Young Aurora"
Open to all UWC schools and colleges, and presented by the Aurora Humanitarian Initiative in partnership with UWC International, the Aurora Humanitarian Project for UWC Schools and Colleges ("Young Aurora") aims to encourage UWC students to engage in an economically, socially and environmentally sustainable and practical manner with current humanitarian issues affecting a community. Young Aurora recognises student projects designed to have meaningful impact – and provides one winning team each year with a financial grant to further the development of their project. Young Aurora's mission is to encourage, support, and showcase student-driven projects which address concrete humanitarian issues and offer solutions through innovative and sustainable approaches. 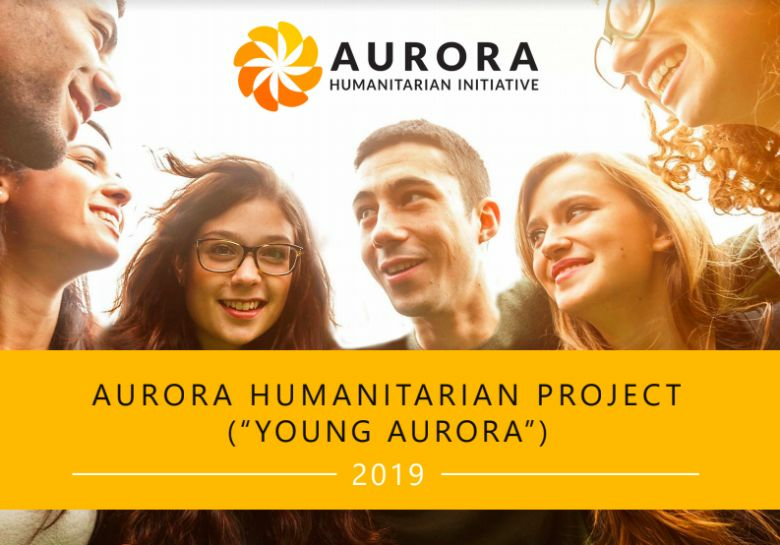 Project proposals submitted to compete for Young Aurora funding address a broad and diverse range of humanitarian issues identified in the vicinity of UWC schools and colleges, and often propose close collaborations with local communities. Young Aurora 2019: Applications Open! In 2017, after a highly competitive selection process, the project from UWC Robert Bosch College was announced as the winner of the first-ever Aurora Humanitarian Project for UWC. Thanks to generous donations from anonymous donors, however, the two other finalist teams, from Waterford Kamhlaba UWC of Southern Africa and UWC Mahindra College, also received €4,000 each towards the further development and funding of their respective changemaking projects. In the second annual Aurora Humanitarian Project for UWC which took place in June 2018, teams from UWC Mahindra College and Waterford Kamhlaba UWC of Southern Africa qualified yet again as finalists, along with a team from UWC Changshu China. In another fortunate turn of events, although UWC Changshu China's project was chosen as the winner of the $4,000 first place prize, the other two finalist projects were also each awarded $4,000 thanks to the generosity of anonymous donors. UWC thanks the Aurora Humanitarian Initiative for their continued support of UWC students in their initiatives for meaningful change - helping them to put gratitude in action.